When it comes to spreading the world about great luxury brands, there is no better platform than Luxury News Online and who better to partner with in the Principality of Monaco than Bradley Mitton of Club Vivanova fame, a pioneer and leader in elegant and high-class gourmet events across the French Riviera and Monte Carlo. 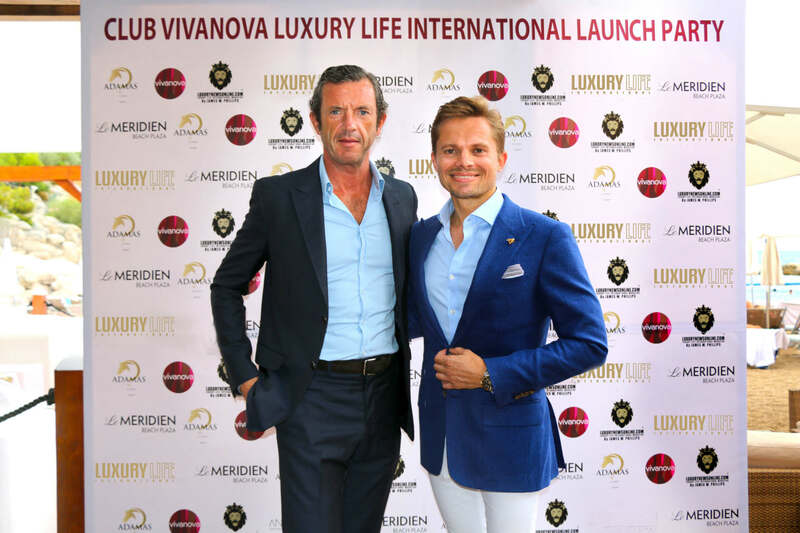 Luxury News Online founder James Phillips and Club Vivanova founder Bradley Mitton have great things in common, including a drive to succeed, to build excellence in their business operations and to develop their brands through intelligent marketing, involving niche international clients. During a recent weekend of celebration during the 2018 Monaco Grand Prix, we interviewed both these gentlemen. James Phillips . Why Club Vivanova? Bradley Mitton . Why Luxury News Online? “James and I met in 2017, he’s a brilliant socialiser, and gets on with everybody, spreading the word about his Luxury Lifestyle platform and lifestyle coaching business and making new friends and sourcing business partners. Our role is to set-up a platform for his brand and we commit to that – James comes in with his great personality and builds his partnerships and develops his business through being a hard-working, sincere and straight businessman. In 2017, we worked on his Luxury Lifestyle Magazine launch, and earlier this year James joined our Club Vivanova Luxury Lifestyle Gala Dinner at the Fairmont Monte Carlo as a VIP Partner and brought in a wonderful group of friends and clients. It’s a pleasure to team-up with James again for our Summer Yacht Show Party this coming 28thSeptember. Join Continental Europe’s leading business networking and premium gourmet wine club. Celebrating 15 years of success, servicing a wide-selection of international partners and based in the Principality of Monaco, Club Vivanova brings together a stimulating group of dynamic professionals and international entrepreneurs to unique locations for enjoyment in the finer essences of life whilst building new business opportunities.